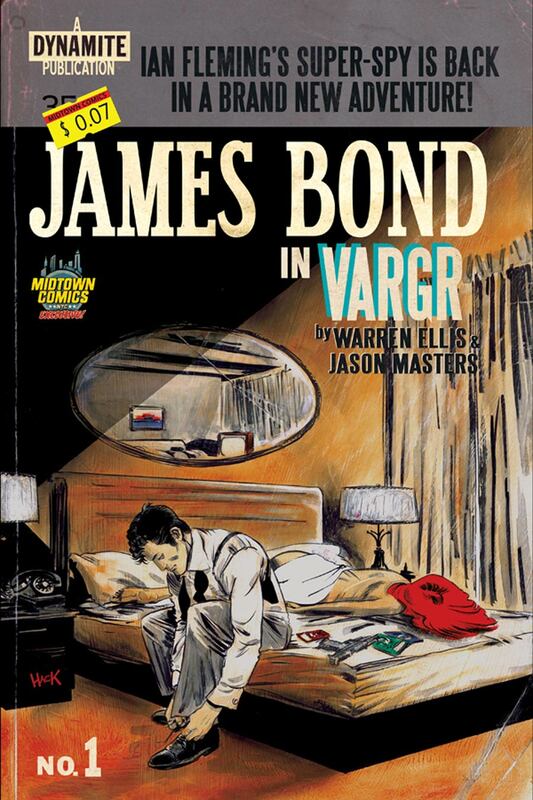 The first issue of Dynamite Comics new James Bond series is released on Wednesday and Midtown Comics in New York is offering a retro cover exclusive by Robert Hack that I can't resist! Check it out below. You can order Midtown's VARGR #1 exclusive from the Midtown Comic website. Thanks to Tanner at the excellent Double O Section blog for this discovery.